As my kids have gotten older and the age gap between them keeps widening, (20, 17 and 4) I find it harder and harder to come up with activities they will all enjoy, while allowing Mom to spend precious time, with them, making new memories (and messes). There are very few things all my kids will agree on, but one thing they all love, is family movie night, because they know it will be filled with amazing goodies, fun games and probably a surprise or two. Check out our latest adventure, a "Teenage Mutant Ninja Turtles" themed movie night, including a ton of entertaining essentials from World Market. 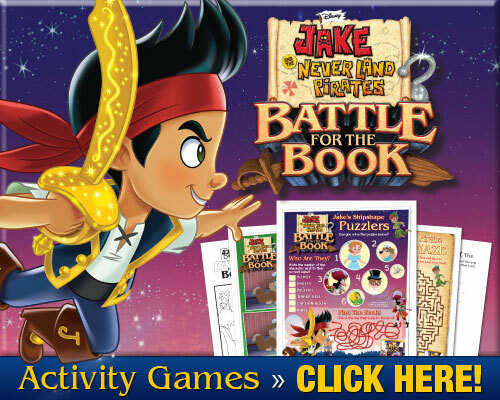 In honor of the January 6th release of "Jake and the Never Land Pirates: Battle for the Book", I am sharing these fun activities and games that will take you on a magical ride with Jake and his friends. I made these fun, Sesame Street A-B-C flash cards a while ago and Micah has really enjoyed them. All you need to do is, print, cut and laminate them. I made them big enough to see well, but you can resize them if you want. You can also make several copies, so you can spell simple words with them, it can even be a game, leave one letter out, ask your little one to fill in the blanks. To print: Simply click on each picture, it will pull up a printable file. In celebration of the release of the new "Phineas & Ferb: Star Wars" DVD, check out these cool, printable activity sheets. Perfect for the little Jedi in your life. It’s National Fire Prevention Week and on behalf of Disney’s Planes: Fire & Rescue (on Blu-ray and Digital HD Nov. 4th), I have some helpful Fire Safety Tips to share with you guys! Learn how to protect your home and family from fire with a safety checklist, quiz, puzzles and more! Remember what Smokey Bear says, only you can prevent forest fires! With Halloween right around the corner, we (Micah & I) have been working on all kind of fun, spooky homeschool worksheets. I made this one for him and wanted to share it with you guys. Enjoy!